June, an emotionally abused woman, retreats to a secluded spot in a park for some time alone. For the past year, Philip has sketched her from a distance. They finally meet, with fiery results. 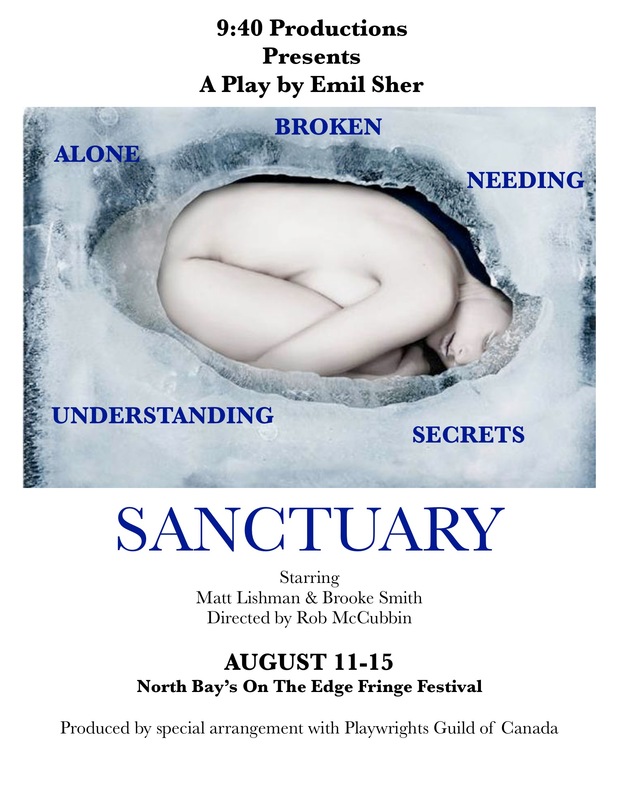 June, an emotionally abused woman, retreats to a secluded spot in a park for some time alone. For the past year, Philip has sketched her from a distance. They finally meet, with fiery results. Written by Email Sher and produced by special arrangement with the Playwrights Guild of Canada, this play runs just over half-an-hour. 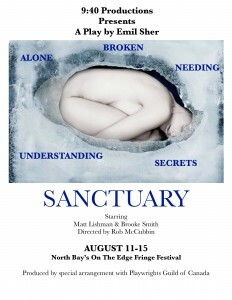 The production is directed by Rob McCubbin and cast includes Matt Lishman and Brooke Smith.